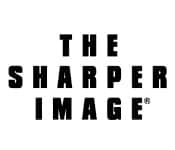 The Sharper Image Corporation (Pink Sheets: SHRPQ), founded by Richard Thalheimer, is a American retailer that specialized in high-end electronics and gifts. The Sharper Image has been in business since 1977. Since filing for bankruptcy in 2008 it has closed its brick and mortar retail stores, remaining viable via direct-to-retail. At one point Sharper Image employed 2,500 people nationwide. The remaining branch of the company still has its headquarters in San Francisco, California, with hopes to revive its online and catalog portions of its business.